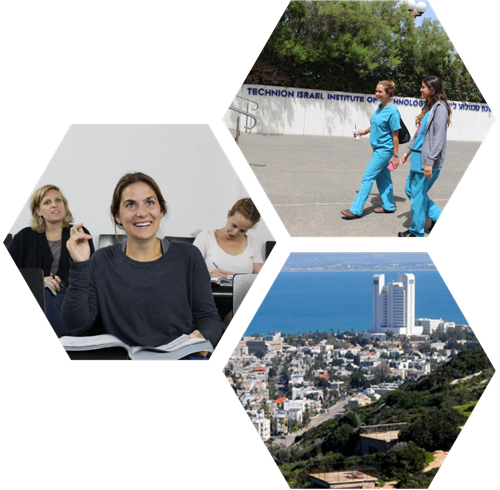 With a dual focus on research and clinical studies, Technion’s mission is to advance knowledge in life and medical sciences, improve health care, and train compassionate clinicians, researchers and teachers. This unique American medical degree program in English boasts an unparalleled focus on research, intimate class size, and a diverse study body. At the Technion’s American Medical School, students access a proven formula for success: they study at a world-class institution, shadow top researchers and practitioners across a spectrum of specialties, and gain invaluable well-rounded experiences. This is why our students have such a high match rate and go on to successful careers as physicians. At the Technion, I learned medicine from some of the world's top researchers who are also devoted teachers and inspiring physicians. The Technion is where I spent the best four years of my life, learning from some of the world's best physicians. Living in Israel and learning at the Technion is a truly unique and interesting experience. I wouldn't trade it for anything. Every day at the Technion is an exciting new adventure, where I get to learn about medicine, and myself, in a completely new environment.